I’d like to take this opportunity to let everyone know who I am and why I am doing this. 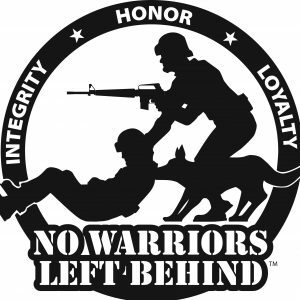 I am an OIF/OEF disabled veteran with friends who are also disabled. I have friends who have died in Iraq. This is the reason why I started this blog and commit to giving information to those who are service members and/or those who may know service members. For those of you who are civilians, I would like to give you the opportunity to learn about veterans and all that we have endured. I am passionate about changing the statistics. 22 veterans commit suicide per day. 307,000 veterans have died waiting for healthcare. If I can stop one person from taking their life, if I can give one person the resource they need, if I can educate one person about the statistics, I will have succeeded. I invite anyone with questions about me, my purpose, or about a resource they need to contact me. If anyone has anything they would like me to post or share, please let me know. If any of you are working with an organization who share the same goal, please get in touch with me. If the information I provide does not apply directly to you, consider whether or not you know someone who may benefit from it. If you are a veteran, I hope you can benefit directly from the resources I post. If you are the loved one of a veteran, my hope is that you will find resources to support you and your loved one. If you are a civilian, I hope you learn from the information I post and may find an organization you would like to give your time or money to. This Saturday I will be participating in Run As One in honor of Marine veteran Clay Hunt, an original member of Team Rubicon who took his own life after battling PTSD and depression. I invite any of you in the area to join me. Previous Post We need to do more of this! Next Post Ways to serve and have purpose.